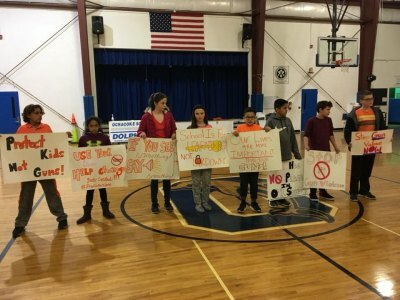 Editor's note: In March, Ocracoke School students joined the protests against gun violence by participating in the National Walk-Out Day and the March For Our Lives. Common sense gun control is an issue near and dear to my heart, and I didn't report on it at the time because I have such strong feelings. 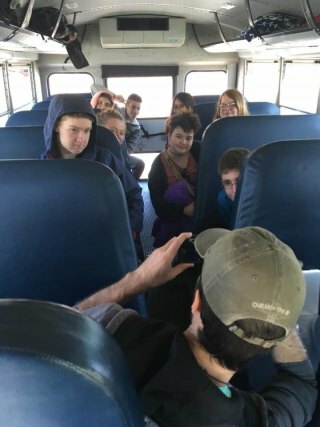 I attended the Walk-Out Day event and was a chaperone on the trip to the March For Our Lives. The photos from the March that I shared on the Ocracoke Current Facebook page inspired a lot of hate-filled rhetoric aimed at teachers and students, and I ended up blocking several commenters. (I won't tolerate ad hominem attacks on kids. Period.) I finally asked Caroline Novak to write about her experience, but by then, it wasn't as timely. It's timely again. Today, Ocracoke School teachers and staff are participating in a very realistic active shooter exercise that involves acting out a life-or-death scenario, complete with law enforcement response. (That's the helicopter you heard over the village.) While the adults are planning how to react to a gun incident, let's hear from the young people who want to act to prevent these tragedies. 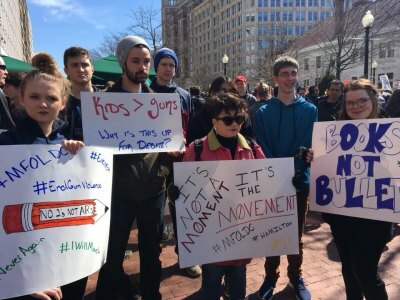 Caroline Novak writes: From March 23th to March 25th, eight members of the Ocracoke High School Beta Club, and three chaperones went to Washington, D.C. to attend the March for Our Lives event. Of the nine students that went, three had never been to D.C. before. This experience showed them the great city, and let all nine of us have a wonderful experience. 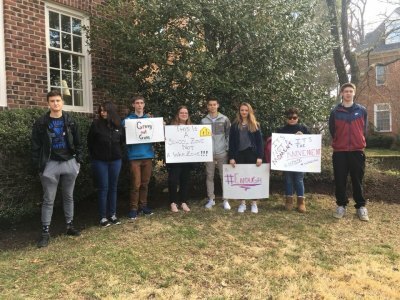 Students of Ocracoke High School have always been supportive of the cause that March for Our Lives promotes. When the event came up, we were eager to support it, and attend. To attend the march, we had a base goal of one thousand dollars to raise. Through bake sales and donation jars, we brought in a good amount of money. Although the support from Ocracoke’s community got us to D.C., the amount of donations that select people, and companies as a whole gave amounted to somewhere around $1500. With this money, we were on an easy road to using the donations for everything, even meals. Then, a very kind married couple named Cathy and Marc Langer let us stay in their home in Georgetown, just blocks away from the White House and March route. The experience was wonderful on everyone’s part. From sightseeing in D.C. to attending a monumental march, it was all around good to go through. The cause was something that we all had strong opinions about. Gun control is still a rocky road that needs amending, and us eleven hope that the march at least began to make a change. On the bus -- D.C. or bust! “It’s time to change!” the people attending the march would chant. Upwards of 800,000 people came on that day to the route on Pennsylvania Avenue. The "march" consisted of standing in place at most points, because that’s just how many people came to show support. With such support, the students and teacher chaperones didn’t have to pay a dollar of their own money, and were provided a lovely house to stay in for two nights! Only a place like Ocracoke could support something this big. Editor's note: The students and staff attended the March For Our Lives in Washington, D.C. with the unanimous support of the Ocracoke School principal Leslie Cole, Hyde County Schools superintendent Randolph Latimore, and the Hyde County Board of Education. All agreed that it was a learning opportunity and a great way for the students to engage with civic life and participate in democracy. For the Ocracoke Current article about Beta Club fundraising for the March, click here. On National School Walk-Out Day (March 14, 2018), then-7th grader Katie Kinnion spoke these words at the walk-in (it was raining) assembly: "Today we honor the 17 victims that died during the Feburary 14th shooting. Today we stand together as a school to show that we can make a change. We are the generation that can change the world. As a student, I want to feel safe going to school in the morning and we can make sure that happens. That is truly why we stand here today."